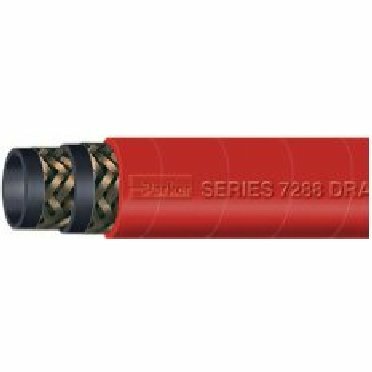 Red Oil Resistant Steam Hose designed for long-lasting steam service. Construction incorporates an EPDM tube that resists heat and pop-corning, and a wire braid reinforcement for crush-resistant durability, kink resistance and a pathto conduct a static electrical charge to ground. Red chloroprene cover is resistant to weathering and oil which is important for oil refinereis and petrochemical plants.